HTC has announced that the HTC Desire HD and Desire Z will be released into the UK soon. Speaking at the London launch, the Taiwanese firm confirmed that the two handsets, which offer high level tech specs and the new Sense UI, have been given a UK release date of mid-October 2010. Vodafone is the first network to offer the phones in the UK, building on a long relationship with HTC, with the HTC Magic and HTC Legend both being brought to the networks on exclusive. Vodafone will launch the Desire HD and Desire Z in all its markets, although it hasn't nabbed the exclusive on these phones for the UK. 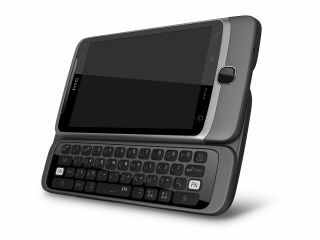 The HTC Desire HD will be offered by all networks bar O2 (although HTC Executive Director Jon French hinted that might change in the next few days) and the HTC Desire Z will be offered by Vodafone, The Carphone Warehouse and Phones4U in the UK. Both will come out at 'no more than £35 per month', according to French, and will be free on two year contracts.